THE Cattle Council of Australia has rejected commentary in the past fortnight foreshadowing the end of Australia’s livestock export industry. Melbourne-based media agency Redhanded last week released a report concluding the live export tradeshould be banned, which came hot on the heels of recent comments by communications specialist Toby Ralph that the trade was “a dead man walking”. Mr Ralph, the keynote speaker at the Pastoralists & Graziers Association of WA conference in Perth in late September, argued that the live export industry had lost its social licence. The Redhanded report said the live export debacle was “besmirching Australia’s reputation as a ‘tier one’ global food producer and must be phased out”. The agency also said livestock should be processed here in Australia. “With steady foreign investment, strong long-term forecasts for food production and the increasing level of robotics and automation in processing, the value chain will shift to easily accommodate no live export markets,” the report said. But Cattle Council CEO Margo Andrae, fresh from an industry tour of Indonesia in recent weeks, has hit back at suggestions the live trade is doomed. “Any city commentary calling for a live export ban is made a long, long way from the cattle properties of northern Australia and the feedlots of Indonesia,” Ms Andrae said. Members of the cattle industry have been closely monitoring the extent to which ongoing pressure on the live sheep export trade could adversely impact the much larger live cattle export industry which was worth $1.2 billion in 2016-17. Cattle exports have been performing strongly in 2018, with steady trade out of northern ports helping August cattle exports to finish just under 108,000 head. This brought the year-to-date total to 680,000 head, 24 per cent above year-ago volumes. But industry sources estimate more than 20,000 WA cattle – including young bulls retained specifically for the live trade – had to absorbed into domestic supply chains due to the disruption to dual-species shipments from Fremantle to the Middle East over winter. The industry is also anticipating the introduction of Independent Observers on the busy short-haul trade between northern Australia and South East Asia, which the Federal Government has flagged for commencement from November. Ms Andrae, who travelled in Indonesia with other Cattle Council, MLA and LiveCorp delegates, said Australian producer and exporter representatives sought to assure importers and other Indonesian stakeholders that Australia was committed to the long-term future of the live cattle trade. 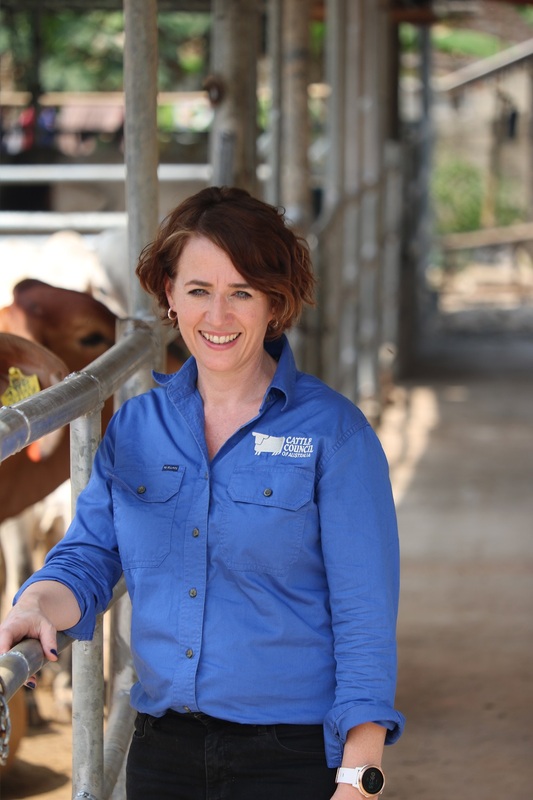 “We’ve been keen to emphasise to Indonesian importers that the live cattle trade continues to enjoy bipartisan support in Australia and that we are working hard to outline the compelling case for the trade to continue long-term,” Ms Andrae said. Ms Andrae said livestock export continued to have significant economic importance to the Australian cattle industry. “As well as supporting 10,000 jobs across regional areas, it is a critical avenue for ensuring Australian beef is accessible to consumers in dynamic economies like Indonesia,” she said. “I-A CEPA has added greater certainty for the live feeder and breeder cattle trade and eliminates significant tariffs for both meat and livestock exports. It reflects the way our relationship with Indonesia isn’t just about boxed beef nor the export of cattle for slaughter,” Ms Andrae said. “Some Indonesian consumers are in a position to buy chilled beef, and I was proud to see quality Australian product prominently on supermarket shelves in Jakarta. “We are also proud of the way Australian cattle, fed in Indonesia and slaughtered in ESCAS-approved abattoirs, is ensuring Australian beef is affordable for lower income earners while generating economic activity and creating thousands of jobs in local villages and rural areas. Meeting the proud young Indonesians working with Australian cattle in local feedlots was absolutely inspiring. Ms Andrae said alignment on animal welfare would continue to be the cornerstone of the relationship, allowing for the progression from ESCAS to the Livestock Global Assurance Program and to effectively manage welfare in breeding programs. “There is no ‘finish line’ in livestock welfare. LGAP is an important next step in the in-market welfare journey, and updating the Australian Standards for the Export of Livestock is important in ensuring transport rules are guided by the latest scientific research in livestock shipping,” Ms Andrae said. “That’s why investment in the trade through research and development is so important, especially as technology opens up wonderful new opportunities for welfare management and traceability.